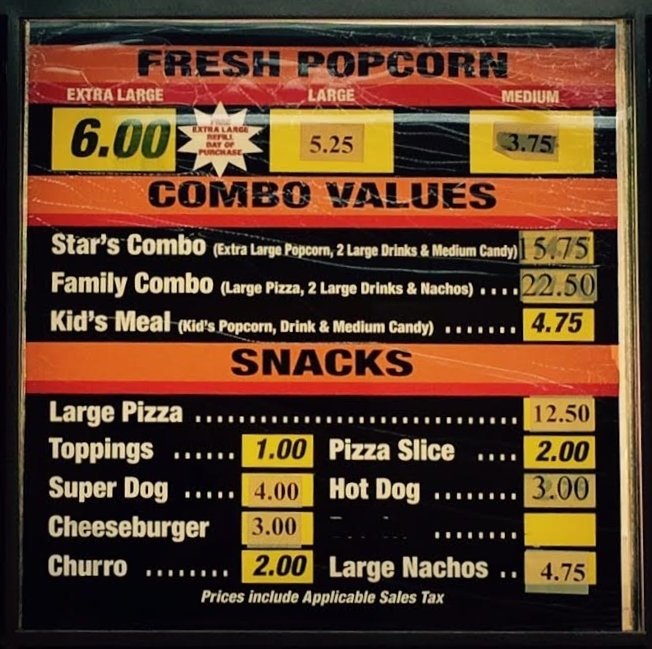 This summer I was invited to the Vineland Drive-In to share a movie experience with my family. I invited another mom, and two of my daughters' friends to a double feature of Inside Out & the Minion movie. We had an amazing time! The kids liked watching the movie from the back of the car, and running around the parking lot before & between the movies. As adults we didn't have to worry about shushing the kids if they talked back to the movie, or if they became wiggly in their seats. I loved that I was able to save big by skipping the concession stand, and watching two movies for the price of one! 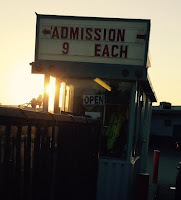 I highly recommend the Vineland Drive-In Theatre as a low-cost family friendly activity. The Vineland Drive-In on a summer Tuesday night. Tickets are $9 for anyone nine years old or older, $3-$3.25 for children ages 5-8. All children under the age of five are FREE! Nearly all shows are double features and guests are welcome to bring their own food. To prepare for our trip I made sure the kids showered early, dressed in pajamas and loaded the car with all the blankets and pillows they could carry. I packed a basket of snacks and a cooler of drinks, and we stopped to pick up pizza on the way. The girls finished their dinner before the first movie started, so we took them to the concession stand to use the restroom. 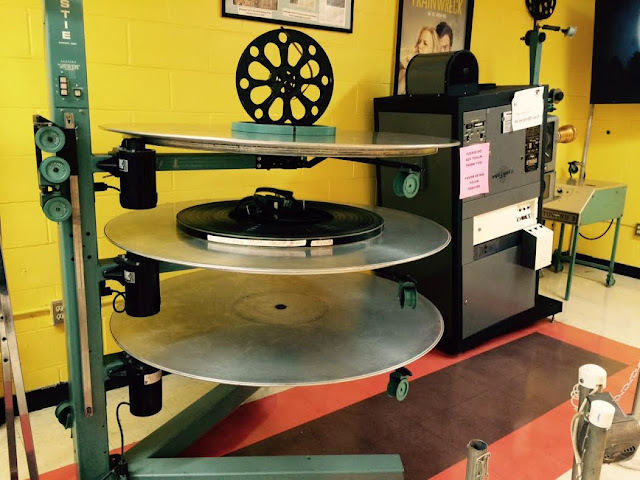 The building has not only a snack bar and clean restrooms, but there is also a seating area, and vintage projectors and speakers from days-gone-by on display. One of two vintage speakers on display. The Vineland Drive-In Theatre manager Mr. Juan Gonzalez, was very welcoming and gave me a tour of the facility before the movies started. 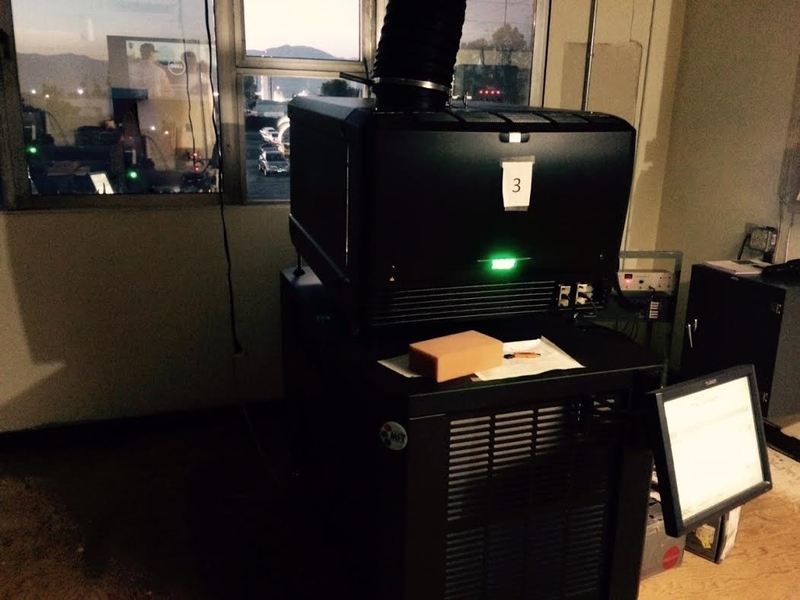 He said that two years ago the theatre upgraded to digital projectors. Playing a movie now is as easy as downloading the file and clicking "play." The closer you park to the concession stand the better the sound quality. There are 15 minutes of ads and trailers, so if you want to move your car for better sound, you have time to check the sound before the movie starts. There are no ads or trailers for the second & third movie, those movies start right on time. The digital projection looks best on the two smaller fields. The busiest day is Saturday, especially opening movie weekends. There could be long lines to enter the theatre, arrive early. A vendor comes to sell snow cones on hot summer nights. The manager can make special announcements for proposals, birthdays, anniversaries, or lost people over the speakers. Announcements are made right before the movie, or after the credits. Pack a flashlight. It will come in handy on the way to the concession stand after the sun goes down, or if you drop something in the car. To decrease the chances of getting lost, count the aisles of cars you pass on the way to the bathroom. Take a bag to collect your family's trash. There are cans throughout the field, but it's easier to keep one handy and dispose of it when you get home. Bring camping chairs and blankets for anyone who wants to sit or lay outside the car. Pack enough food and drinks to keep the kids satisfied through two movies. Visit on a weekday to avoid the crowds. Mr. Gonzalez says that the drive-in is available for birthday parties. 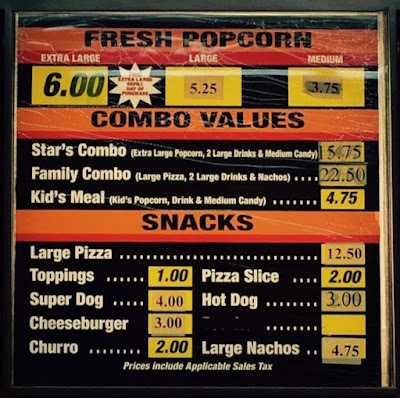 If a parent wants to celebrate their child's birthday at the drive-in he will allow the birthday child, and a few guests, up to the projection room and give the birthday boy/girl the honor of starting the movie! He can be contacted via email here. Vineland Drive-In theatre has been in operation for over 60 years. It's the busiest drive-in in all of California, and people come from as far away as San Diego to visit. 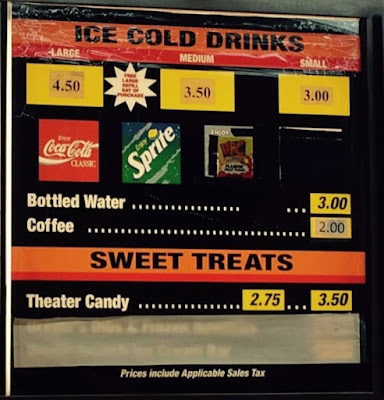 It's one of only a few hundred drive-in theatres in the nation. It's truly an American experience that everyone should have at least once in their life. Take the family; they will have a good time.